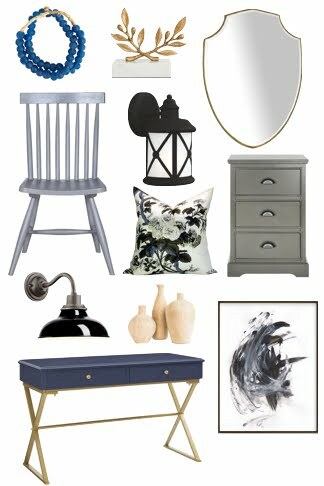 I've asked some wonderful bloggers to post about their favourite Old & New things - the new things which make their home feel fresh and modern, and the old things which infuse their homes with history, meaning, or a sense of family. 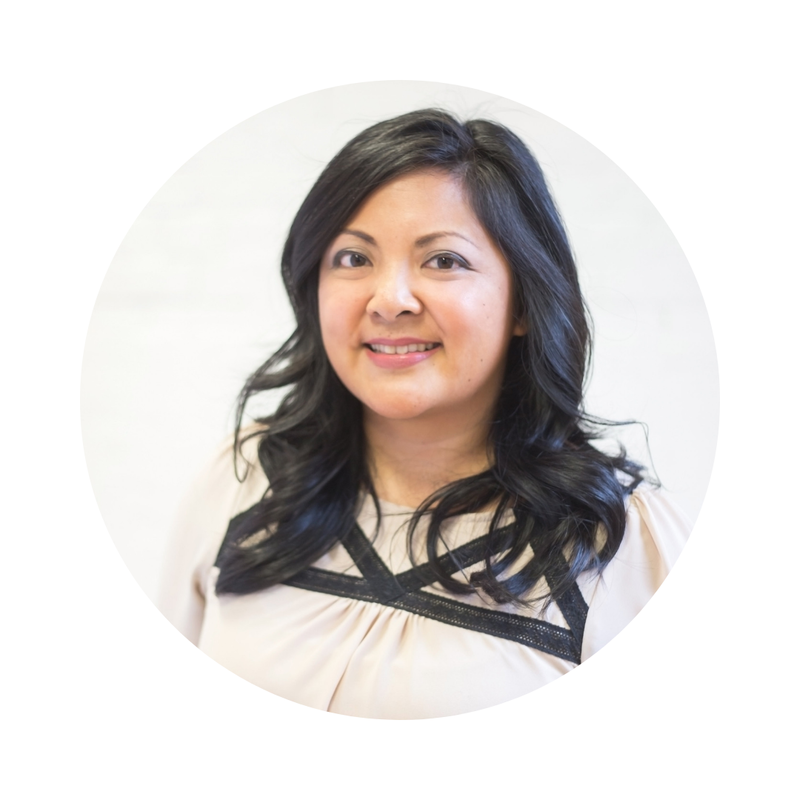 Today Vanessa of Decor Happy is taking the reins. Vanessa is a talented designer and Toronto blogger who I've had the pleasure of meeting many times. 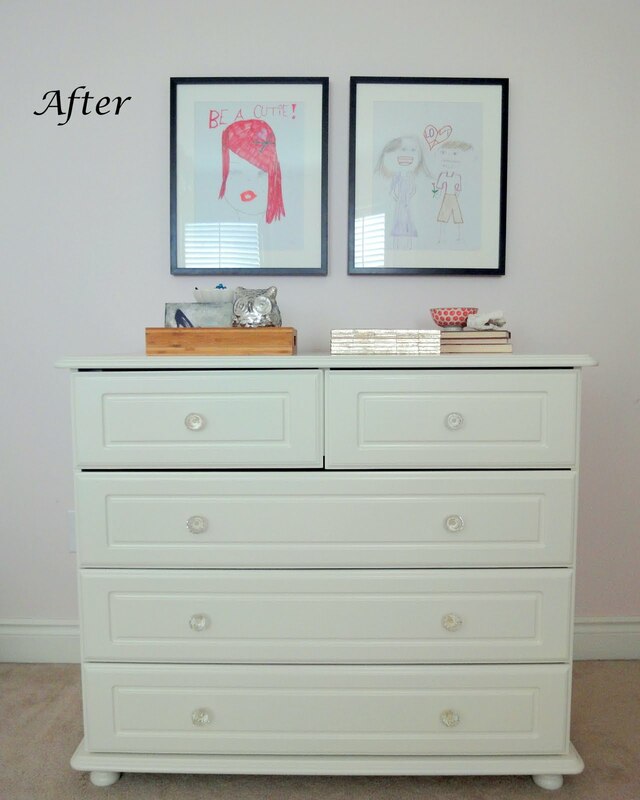 Her blog posts are always informative and well researched, and her room transformations sparkle. Go check her out if you haven't already! Hello Rambling Renovator readers! So happy to be here as I am a huge fan of Jen and her blog. My old and new items are actually old-ish items that I recently transformed with paint and new hardware. 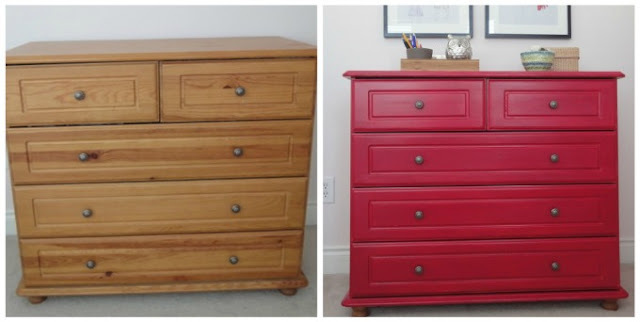 The first item is my daughter’s dresser that was her change table when she was a babe. I painted it red but I wasn’t quite happy with the way it turned out. Blame it on a sad painting job by moi. So I had it sprayed by Paint it Like New. 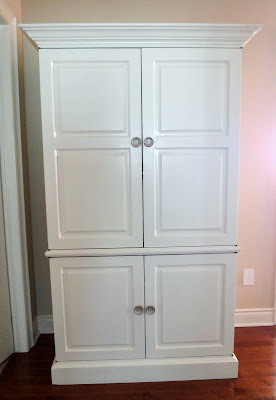 The colour is Benjamin Moore’s Floral White and the glass knobs are from Anthropologie. When in doubt, paint it white and you can’t go wrong. What a difference it makes to have it professionally sprayed – no streaks and a “hard as nails” finish! 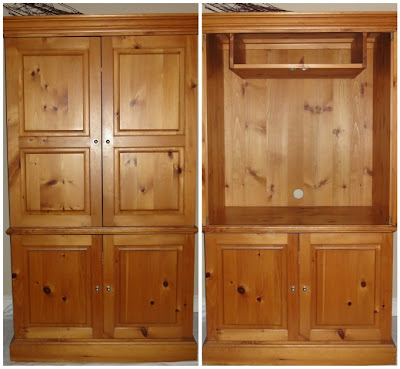 My second old to new item is this pine armoire that I bought in 1990 when pine was all the rage. It is a good, solid piece made by a local craftsman and was custom made to store my TV and components. 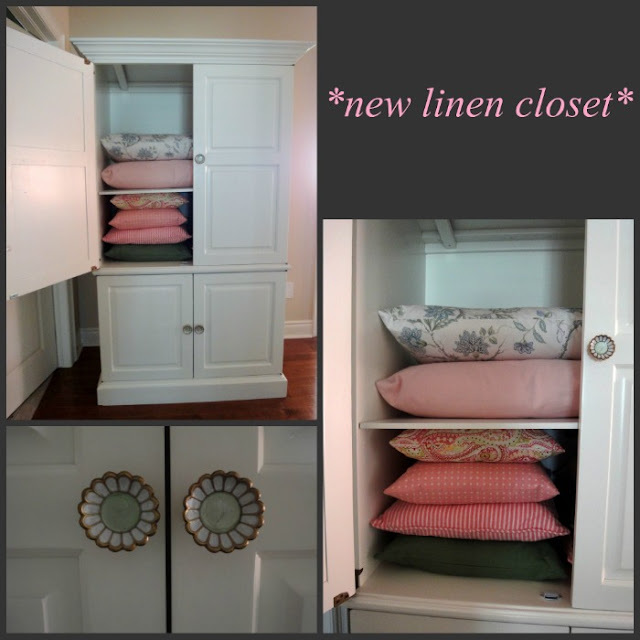 I was going to sell it but decided to repurpose it into an armoire to house all of the extra pillows and linens that overflow from my linen closet. Again, I had it professionally sprayed and changed the knobs to these adorable ones from Anthropologie. 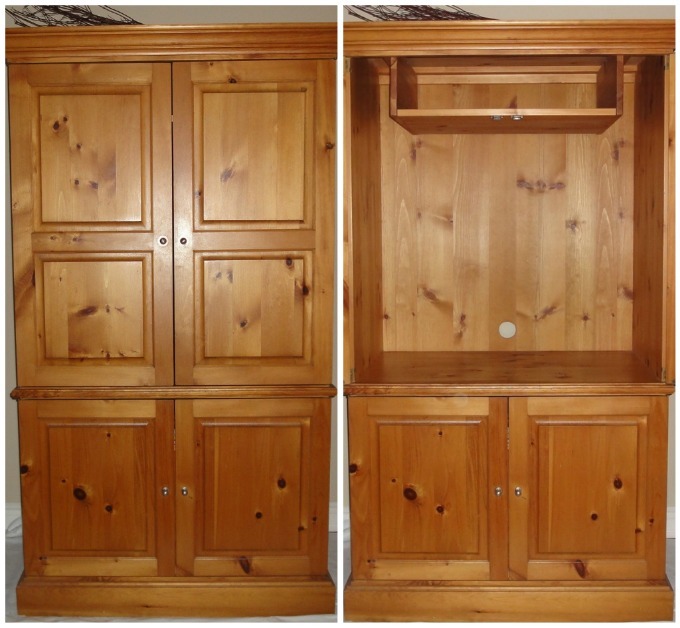 I removed the box at the top of the armoire and installed a shelf. I’m really happy with the transformation of these old pieces. The house already feels lighter and brighter as a result. Thanks Jen for having me and I hope you are enjoying a wonderful, relaxing holiday! Fabulous old to new transformations Vanessa! How great that you were able to keep both old pieces and make them fit in with your current needs. And those Anthropologie knobs (and your pillows) are adorable!